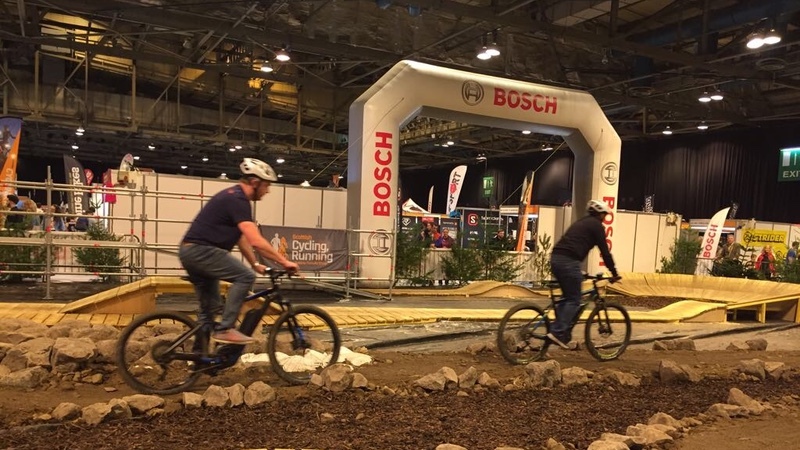 Bosch eBike Systems has announced its return to the Scottish Cycling, Running and Outdoor Pursuits Show (SCROPS), the largest of its kind in Scotland. The consumer show takes place on 2-3 March at the SEC in Glasgow. A global specialist in eBike technology, Bosch eBike Systems is once again sponsoring the show’s 651m² eMountain Bike (eMTB) Test Track. This will see keen and curious members of the public experiencing Bosch-powered eBikes on the dedicated indoor course. The track has been specially crafted for the show using 20 tonnes of soil and six tonnes of bark, with gravel, wooded sections and various obstacles to negotiate. With five berms, a new incline built into the track and a variety of different terrains to experience, show-goers can check out the latest eBike models from leading Bosch eBike Systems partners, including Cannondale, Cube, Mondraker and Riese & Müller. Visitors to SCROPS can simply sign up for a test ride by visiting the eMTB Test Track during the event. Bosch’s presence isn’t limited solely to the eMTB Test Track. As the eBike market continues to grow in the UK, a team will be on hand to provide technical support and advice to the Scottish market, with three dedicated representatives on duty to talk visitors through queries or questions they may have about Bosch eBike Systems’ product portfolio. The show will also be the first opportunity for many UK consumers to cast eyes and get hands on Bosch’s latest products, including ‘Kiox’ – the new on-board computer that acts as a training partner for sporty riders, and ‘Fast Charger’ – billed as the fastest eBike charger of its kind on the market This replenishes a Bosch battery in the shortest possible time; in just over one hour a 500W battery achieves a 50% capacity charge. Bosch was set to make its second appearance at SCROPS last year, but due to heavy snowfall in March 2018 – famously known as “The Beast from the East” – unfortunately the show had to be cancelled. The Scottish Cycling, Running and Outdoor Pursuits Show offers a range of activities and spaces for visitors to enjoy. This year’s show will see special guest appearances from professional cyclist turned commentator Brian Smith; former Team Sky and Cervélo TestTeam domestique Phil Deignan; and two-time world hour record breaker and two-time pursuit world champion Graeme ‘The Flying Scotsman’ Obree.